I do love a good haul and I hope you do to because I seem to have been doing quite a lot of shopping recently. One thing I seem to have not bought for quite a while is makeup, like new makeup not typical must-have top ups. 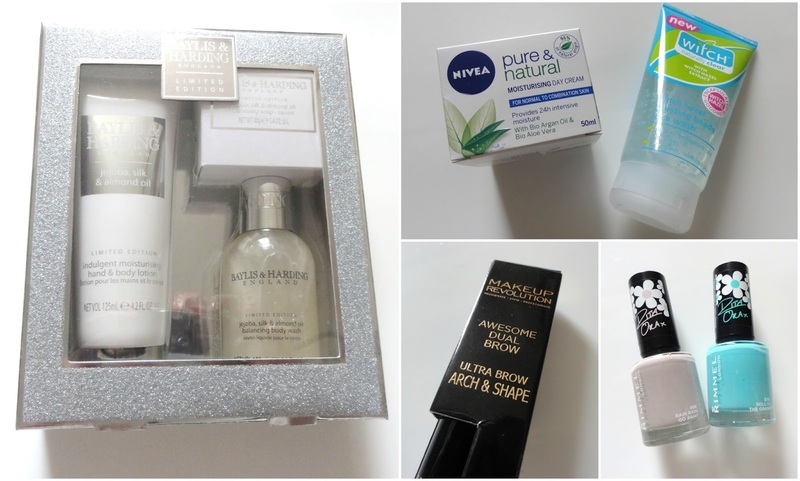 With going away, recently, I knew that I needed to get a few skincare essentials and thought this was the perfect opportunity to purchase a couple of makeup bits too. It seems my couple of makeup bits have had babies and I've ended up collecting quite a lot over the last month or so - resulting in a collective haul. 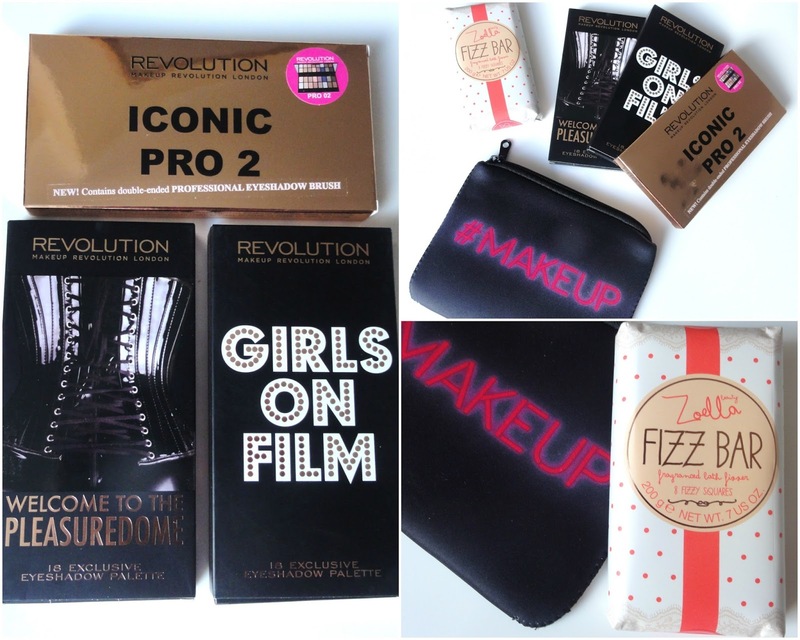 I Heart Makeup is the sister brand of Makeup Revolution and a brand I thoroughly enjoy. I've found previously, the shades, to be highly pigmented and on the same level as Makeup Revolution. The thing I like about I Heart Makeup is the fact they go all out on packaging and make it much more exciting. 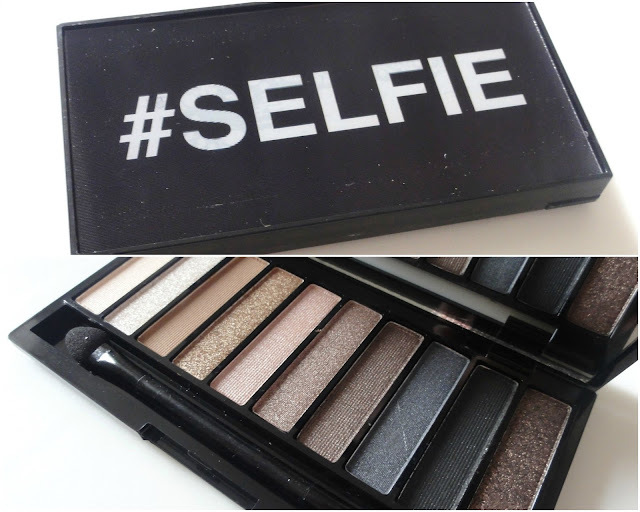 The Selfie palette is one makeup item I've wanted for quite sometime. A palette completely full of pure shimmery goodness - £4.95. You can see my review here. The Baylish & Harding gift sets caught my attention over the Christmas period so much so I bought one for someone. And who couldn't resist the glittery silver packaging? I bought this on a win really having never smelt the scent but jojoba, silk and almond oil sounded like a wonderful mix and at £3.50 I added it to my cart without hesitation. It's paid off because I love the scent... It's quite sweet but not overly. I'm really looking forward to using this. I decided to try something different for my everyday moisturiser. I'm a huge fan of Nivea and they seemed like the obvious choice. The Pure & Natural moisturising day cream was also on offer, which, was a huge bonus. I also picked up the Witch Hazel Naturally Clear Face Wash - a product I've used before and loved. I can't express how much I love the Awesome Dual Brow pencil. It's a product I've had the pleasure of owning before and one I'll continue to buy again and again in the future. I prefer the brow pencil to the super-fine felt tip but for only £3.50 it's worth purchasing it for that alone. I can't get over how pretty the new shades are from the Rita Ora Spring collection for Rimmel. On the lid are flowers that match the shade of the nail polish. I got Roll in the Grass and Rain Rain Go Away. The names are super cute too and remind me of Summer - £2.99 each. You can see my Rimmel polish review here. I recently took a visit to B&N Homestores and found quite the selection of American sweets. B&N are known for their bargains and if you're British you will know anything shipped in from the states, sweet wise, are quite expensive. I was happy to say the most expensive thing in my sweet stash was just a pound. 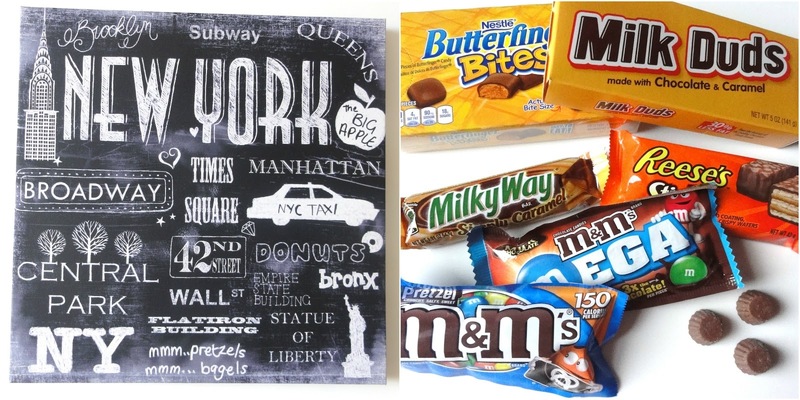 You can check out my Amercan Candy: Taste Test here. I look like a complete makeup addict right now! After going into my local Superdrug and seeing we now have a Makeup Revolution stand. I went a bit mad on the eyeshadow and picked up 3 palettes, but to be fair, it was 3 for 2 and this hashtag makeup bag was an added freebie. The 3 palettes I chose were Iconic pro 2, Welcome To The Pleasuredome and Girls on Film. - All palettes I've wanted for quite some time now. I've owned the Zoella Beauty bar before and decided to pick up another. It doesn't do anything spectacular in my bath water, but the scent is amazing and fills up the room. I recently got the most gorgeous necklace using money I was given for my Birthday. It's such a beautiful and rather personal piece. One that deserves a post of it's own - which is why I've decided only to show the box it came in. After falling in love the Liz Earle Cleanse & Polish I decided to go ahead and purchase a full-sized bottle. The cleanse & polish recently celebrated a milestone and in doing so the Liz Earle team decided to have a celebratory offer of less than £10. They went back to their 1995 routes and the cost of it back then. The packaging is really luxurious. You can tell a lot of thought went into it. I decided to treat myself to some Moschino sunglasses, and I love them so much. I tend to stock pile on Primark sunnies because there super cheap, but I thought it was time to spend a little bit more and go all out - after all I do love my sunglasses. I recently picked up this Too Faced Color Bomb! lip product up. TK Maxx have the most unbelievable deals when it comes to makeup and beauty and I managed to get this for just £5.99. I did look online and find there still sold in most places for £19, despite coming out in 2013. 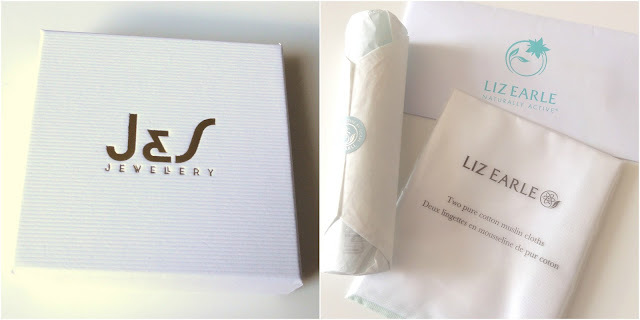 A rather chatty post for you here! 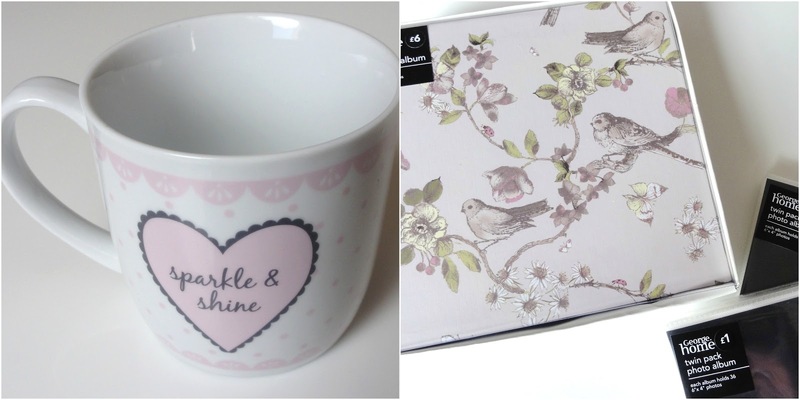 You've got some lovely things, the mug is especially cute!